September brings back memories of Back to School, now that I no longer go to school! Do you remember your freshman year in University? I can vividly remember it. I distinctly remember it being the longest summer of my life. It couldn’t end quickly enough for me. It would be the first time I would be away from home and on my own. Away with no parents to tell me what to do, when to do things or what time I needed to come home. I was going to have my own apartment. Well, not my own because I would be sharing it with 5 other girls. Three of us were high school friends and the other two were friends of friends. We were going to live the off-campus life. The place came furnished with living room furniture and dining room furniture. 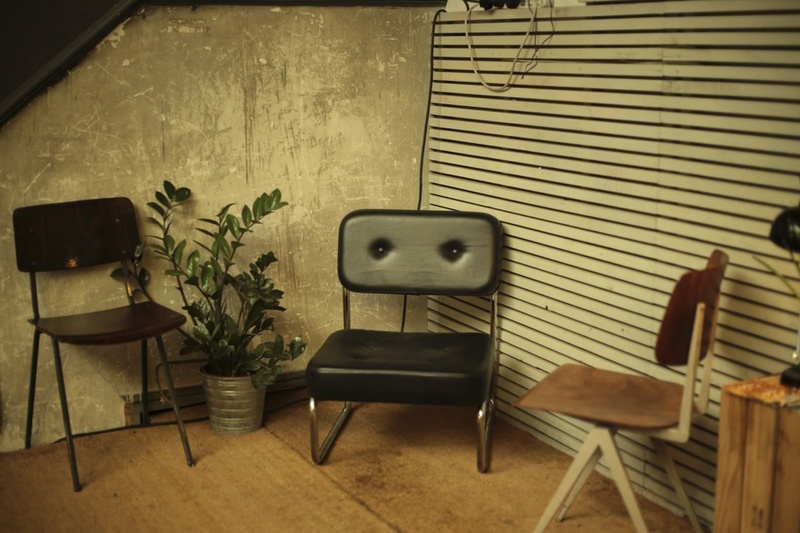 We didn’t think to ask how old those couches were – we just didn’t care. The chipped coffee table didn’t seem to bother us either. Don’t get me started on the curtains which totally clashed with the couches. We didn’t care – we were in university. We did have a dining table with 6 chairs. It could have been the one my grandmother had in her basement. It was that old. It actually was a matching set, but not a very nice looking one. Once again, we didn’t care. It was great to have a place we could “dine” even though we mostly ate our meals on the ugly couches in the living room. Back then, no one seemed to care much about “decor”. Student apartments were exactly that. We would take anything from anyone who would offer it to us. My aunt gave us her old coat stand. One of my friends brought the television. Lamps were provided by one of the new girls. The other roommates brought extra chairs so that we would have seating for “guests”. Nothing matched of course. Once again, it didn’t bother us. I don’t think we had any small, fancy appliances. I think our work was as gourmet as we had back then. That was a gift from my mother. My hair dresser provided us with most of our dishes, cookware and kitchen utensils. We did have a coffee maker. But that was all about it. Now it seems that everything has changed. As my cousin heads off to university, she is getting almost everything new – AND MATCHING! She cannot believe that we would live with mismatched furniture and old used furniture. Have times changed? 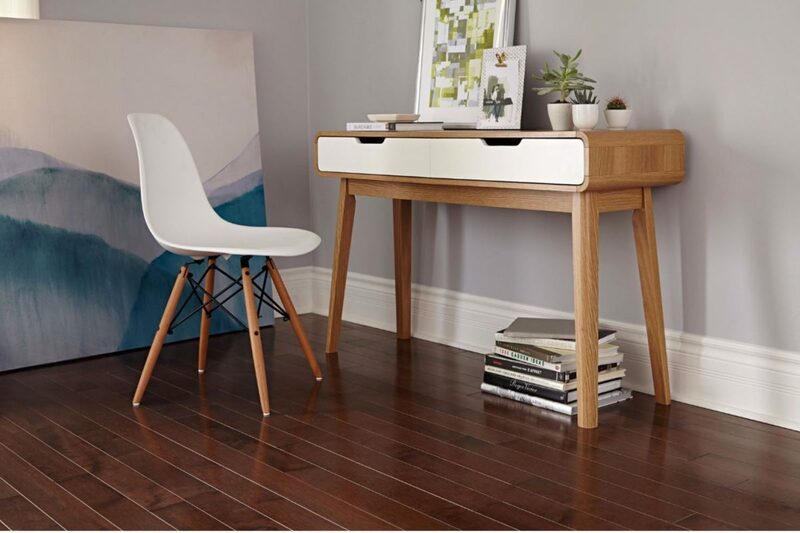 Some great options from Canadian Tire include this gorgeous CANVAS Oslo Console Desk. The contemporary design features durable construction with solid wood legs and two large white storage drawers. This Sauder white desk has a great compact design that includes a slide-out keyboard tray neatly contained behind Flip-down molding and an easy glide drawer. Featuring wood construction with a soft white finish. This Sauder Salted Oak Desk will be the apple of your eye with its rustic elegance and contemporary flair. With a warm yet sophisticated salt oak finish, two smooth running drawers for storage, and ample surface space. I love the matching book case as well! So did you have a well decorated dorm or apartment when you were away at University? Tell us, we would love to know! Hey Buddy!, I found this information for you: "Do you remember your first place at University or College?". Here is the website link: http://shesinfluential.com/2016/08/23/do-you-remember-your-first-place-at-university-or-college/. Thank you.